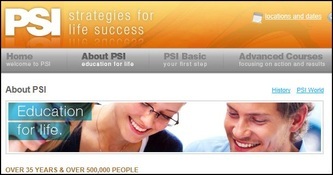 For over 35 years, PSI has worked with hundreds of thousands of people all over the world, helping them discover their ultimate effectiveness through breakthrough educational programs. As the oldest running personal development company in the U.S., PSI is a leading authority and pioneer in human potential training. most important services which challenge rural areas. For the prevention of homlessness and emergency shelter assistance. Projects with local Tribes, churches and community volunteers. Aspects of this include grant writing and community dinner, food pantry. Bridge Tribal services, Tribal members, County government and local services providers for the common goal of providing adequate and culturally competent services to Native American victims of crime. in minority populations of rural Lake County. Lake Family Resource Center serves Lake County to achieve safe, sustainable, healthy families and community. Lake Family Resource Center is committed to serving the needs of all families in Lake County. Most services are provided at no-cost. If you are having a crisis, please contact our Community Crisis Line. Welcome, and thank you for visiting Transition Lake County's new community website -- an online portal for working together to build tribe and get our needs met locally here in beautiful Lake County, California! into something that is more sustainable, more durable, more connected and joyful. people are working together to build durable communities capable of responding to the challenges of ecological destruction, climate change, peak oil, and social, psychological and economic insecurity. This movement is organically self-organizing: Life is acting to save itself, and as new ways of being are coming into play we all face challenges of co-evolving new systems to engage life enjoyably and ecologically. When we let transitions work simultaneously within us and outside of us, as part of Life’s dance, we have nothing to worry about, and much to celebrate right now. We also have much look forward to, both for ourselves and succeeding generations. TLC supports this grassroots movement of local resilience by educating, inspiring, and linking together the diverse wisdom and genius in our community. Through this raising of our relational consciousness, we facilitate healthier interactions, build inner and outer resilience, and co-create a society in which we meet each other’s needs in cooperation with the natural world.